Here at Tiny Acorns we know the thought of arranging a child’s birthday party can be enough to reduce even the most powerful confident adult to a wobbly state, before they even buy the jelly mould from Lakeland! So before you have a pre-party wobble, talk to Tiny Acorns. We can arrange something special to meet every dream and budget!So our plan is simple – decide the type of party you would like, and leave the rest to us! You may want to spend the party with your child enjoying their special day with them, or perhaps entertaining your family and friends. However you want to mark this special day, we are here to make life easy. This is YOUR party, so we will do everything in our power to ensure you have everything you want and more! 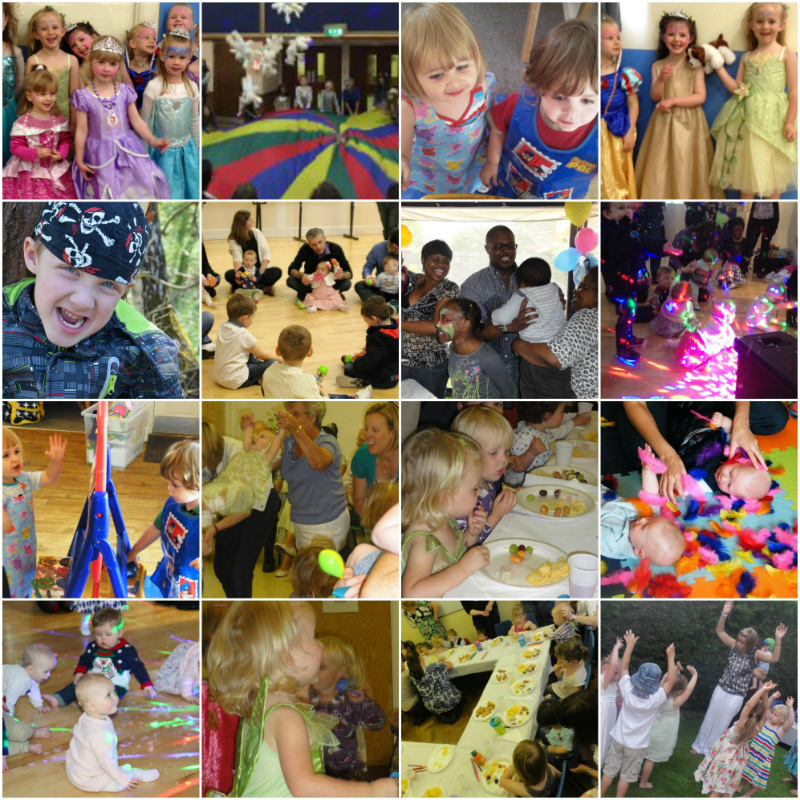 Lots to choose from: Dancing, Music, Traditional Party Games, Sports, Baby’s 1st Birthday, Face Painting, Tattoos. Look to the left to see some of our ideas! All party entertainers are experienced, having attended multiple parties initially as an assistant before being granted the responsibility to host a client’s party. In fact our fairies are not granted their wings until the fairy godmother herself is happy with their performance! Tiny Acorns have a policy to employ freelancers. We do this because we want staff who actually want to be at your party, not someone who is simply completing their regular day’s work. This also ensures your entertainer is as enthusiastic as you would expect. Their reputation is what gains them future bookings. They are incredibly experienced professional staff with over 20 years’ experience of managing corporate and private events, ensuring you will have a professional, high-end party at a reasonable price.Naturally, all hold Enhanced CRBs (or equivalent) and are covered by our extensive insurance policy which meets the requirements placed by UK Government policy.Entertainers dressed up as a character or in branded Tiny Acorns uniform, the choice is yours! What you can be sure of is smart, friendly, enthusiastic entertainers, conveying the professional quality image you naturally expect. We ensure enough staff attend each party to ensure everything runs smoothly without getting in anyone’s way! Your child is unique and so should their party be. We don’t have set routines or standard parties; we create something special every time. We do not have a ‘standard package’ simply because our parties are anything but standard. What we do have is a collection of carefully selected party options to choose from. These stand alone perfectly or can be bolted together for even more fun and flexibility. We also do more than birthday parties. Hire us for your corporate events, Christmas parties, NCT reunions, weddings, bar mitzvahs, christenings, children’s centre events and more! Choose from the menu on the left!